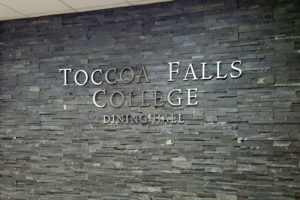 The Toccoa Falls Culinary Services provides students with a variety of food options to choose from through the TFC Dining Hall and the Eagle's Nest. 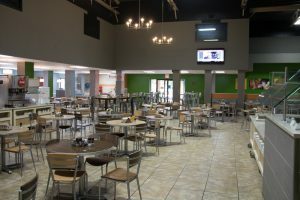 The TFC Dining Hall offers students a variety of food to choose in an all-you-can-eat option. 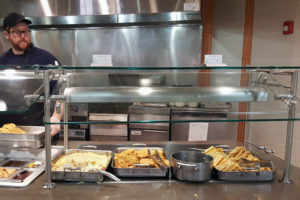 The Dining Hall has several food stations including a pizza oven, deli, fresh salad bar, a daily meat & vegetable selection and the Cucina, with a special grilled to order special each day. 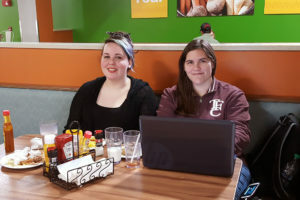 The Dining Hall also offers breakfast which includes a wide range of cereals, yogurt, fruit, and juices or enjoy making your very own waffle to accompany your biscuits, eggs, sausage, bacon and grits. Whatever you desire, the TFC Dining Hall can provide. 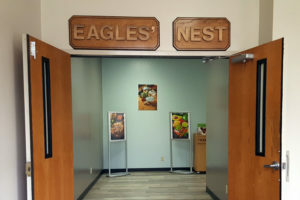 The Eagle's Nest offers students a different option with its Chipotle style dining and Starbuck's Coffee! There's also a variety of prepackaged sandwiches, snacks, drinks and much more if you're looking for something on the go. 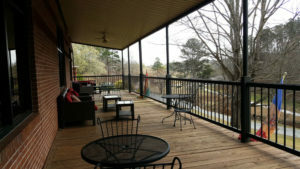 Better yet, kick back and relax on the Nest's large wrap around deck and enjoy the sights and sounds of the beautiful northeast Georgia mountains while you dine.